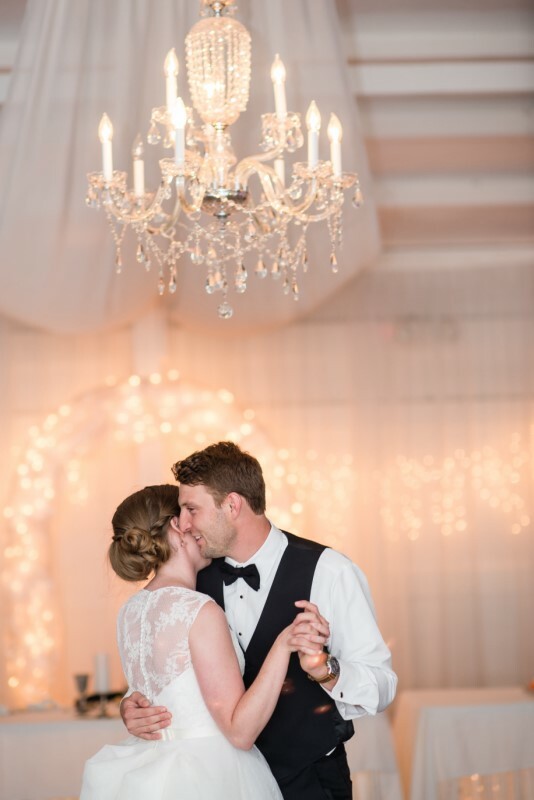 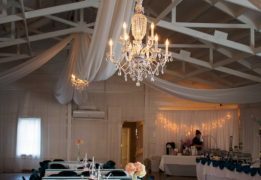 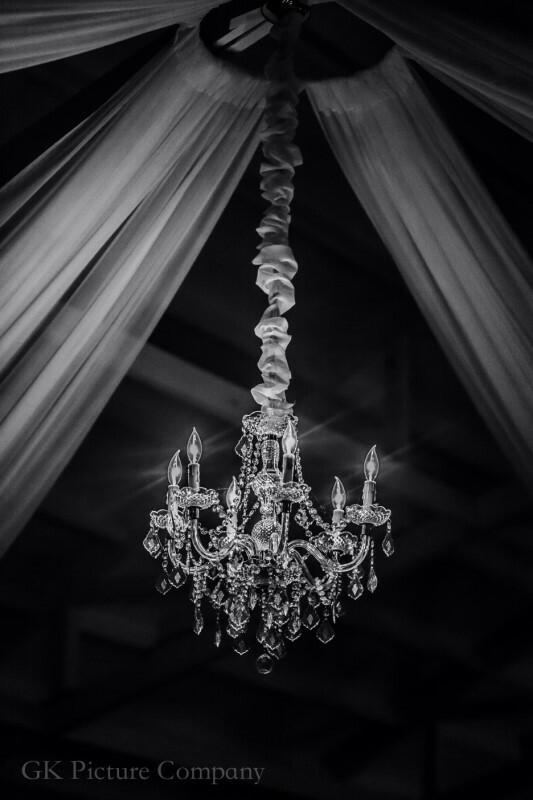 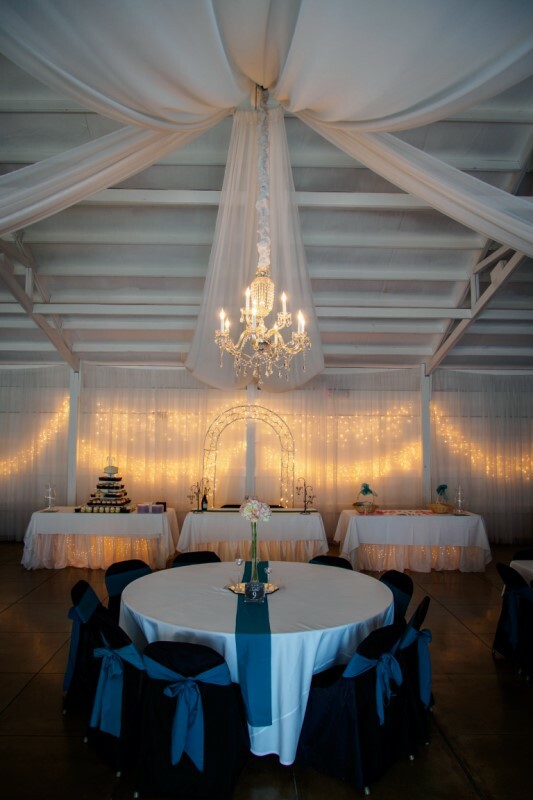 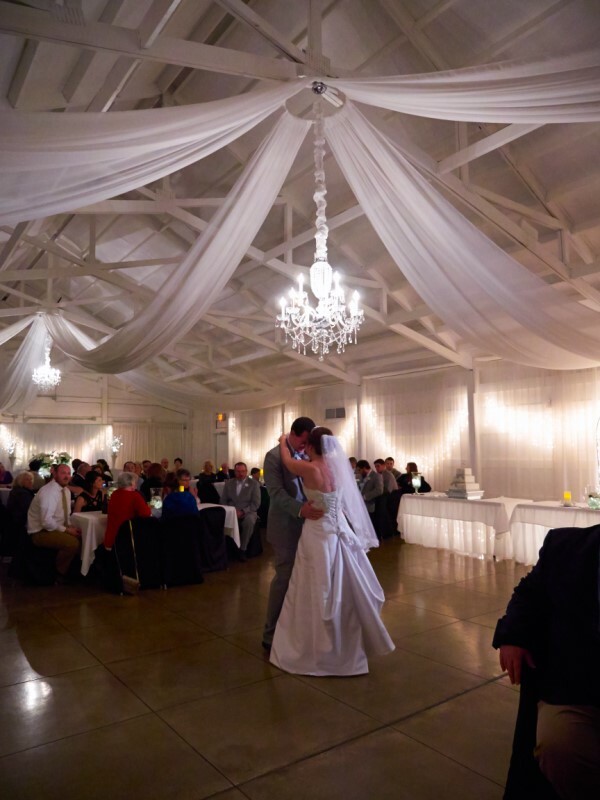 Our on-site ballroom featuring vaulted ceilings and crystal chandeliers which along with beautiful white sheer fabric wrapping the room and draping from the exposed beams fill the space with a soft elegance. 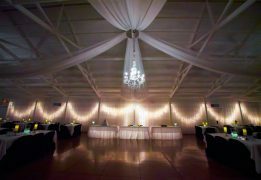 All the romance you have ever dreamed of is captured in this wonderful space. 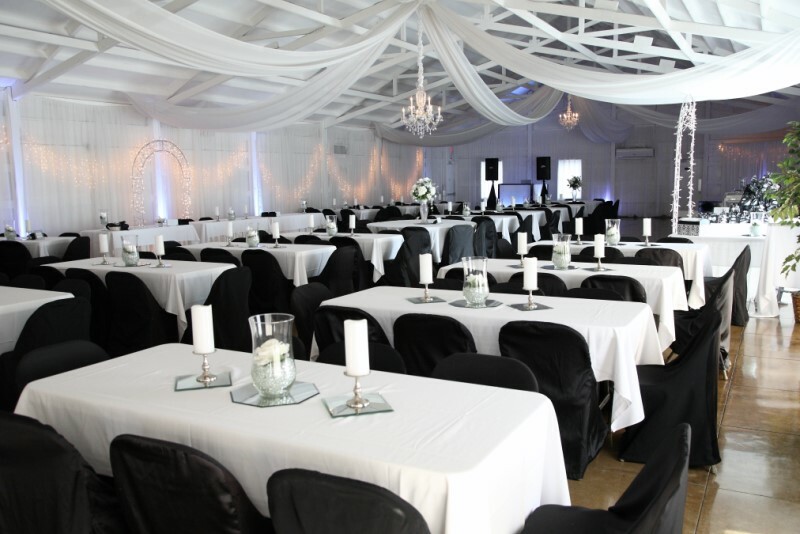 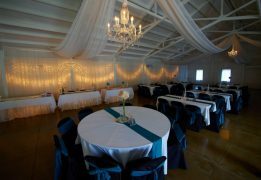 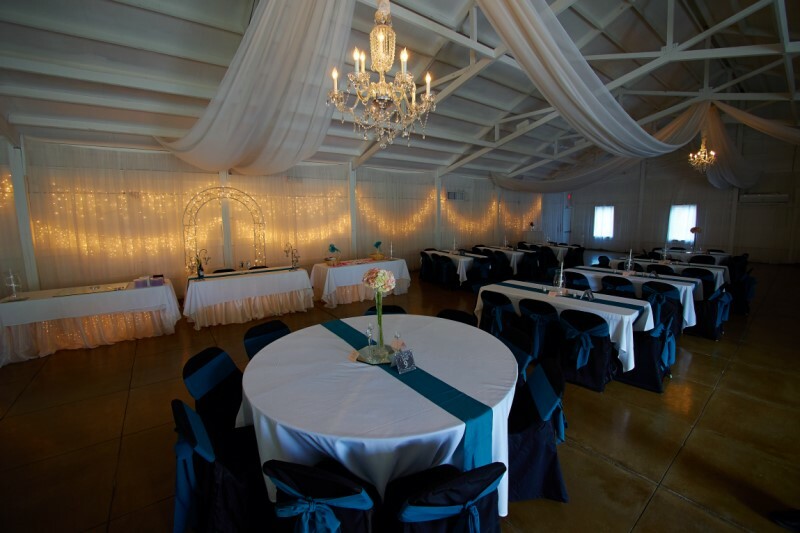 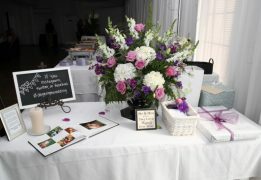 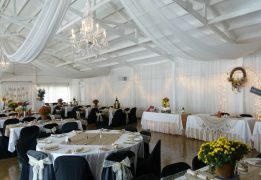 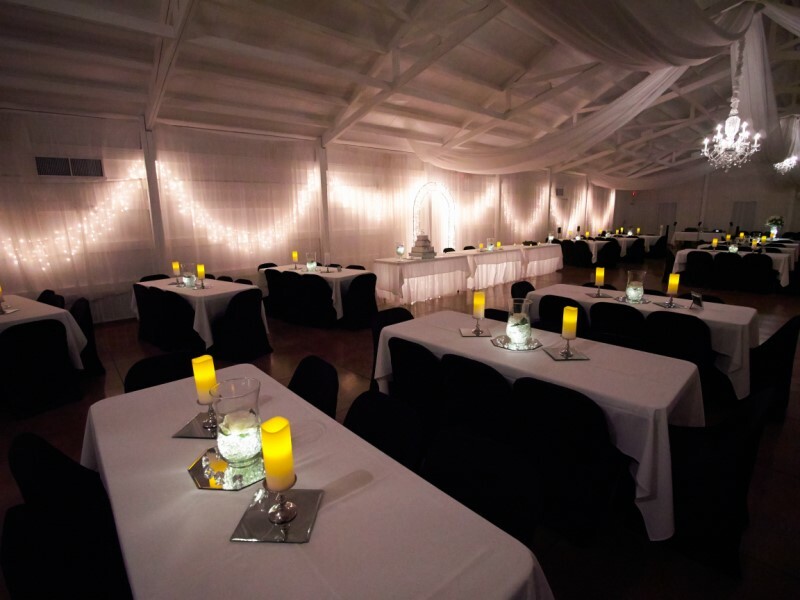 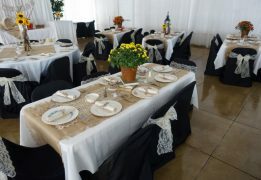 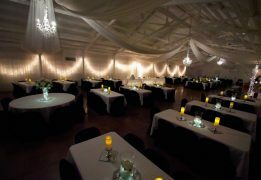 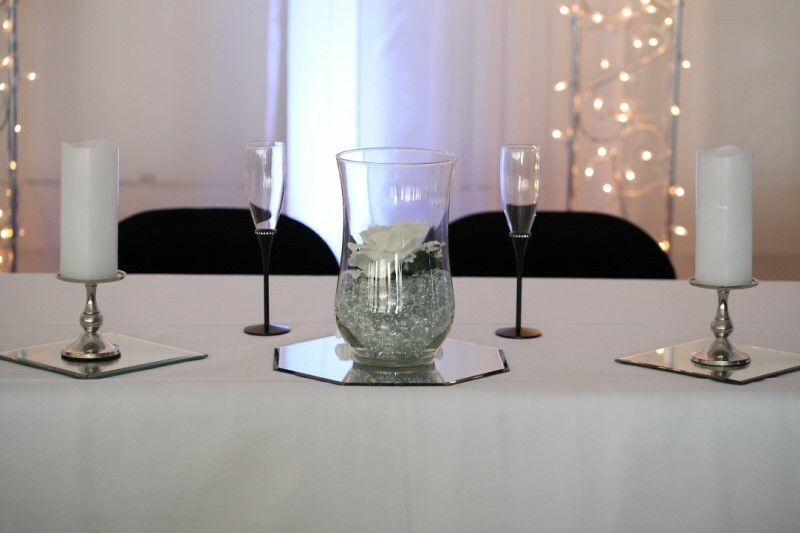 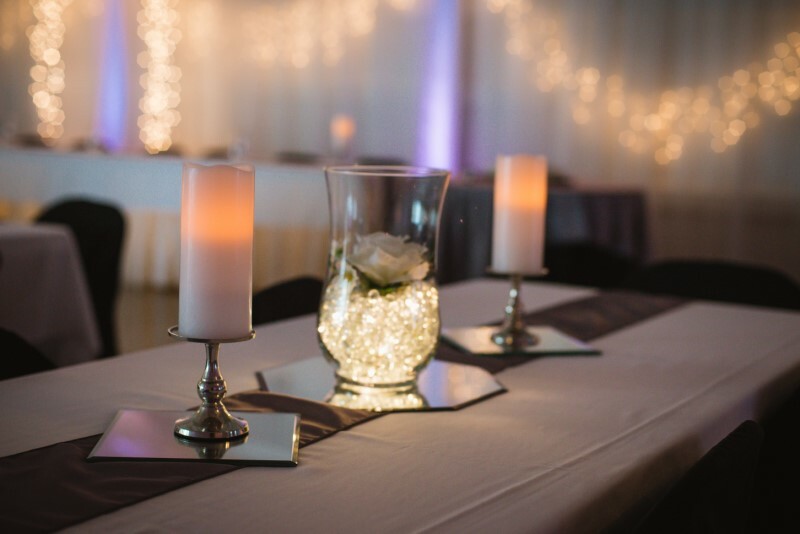 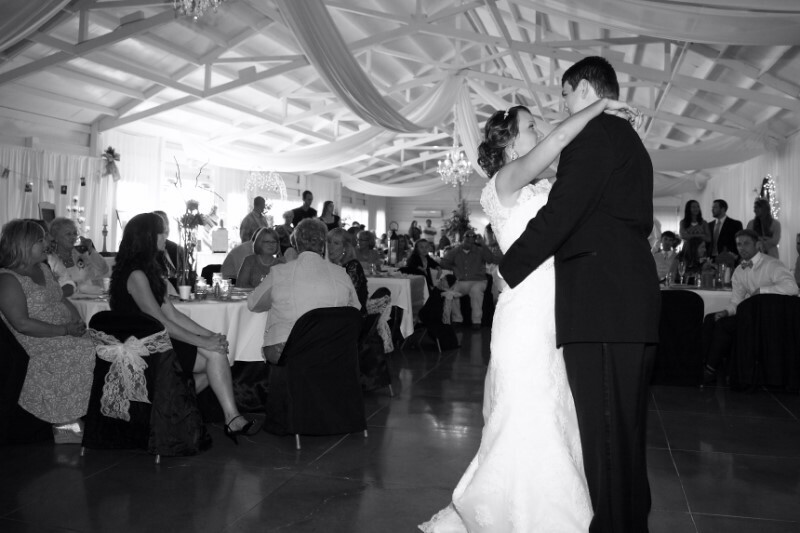 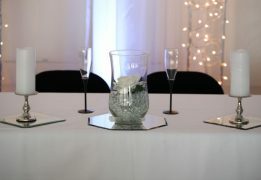 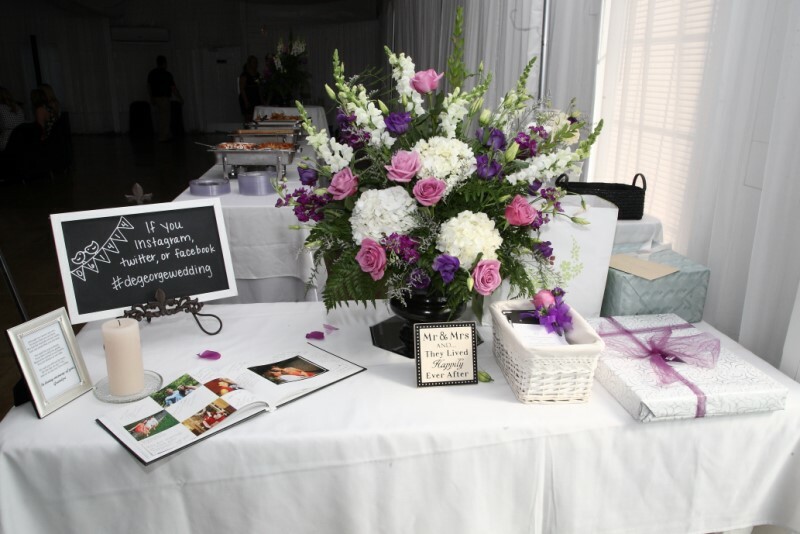 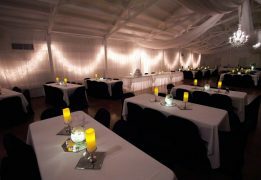 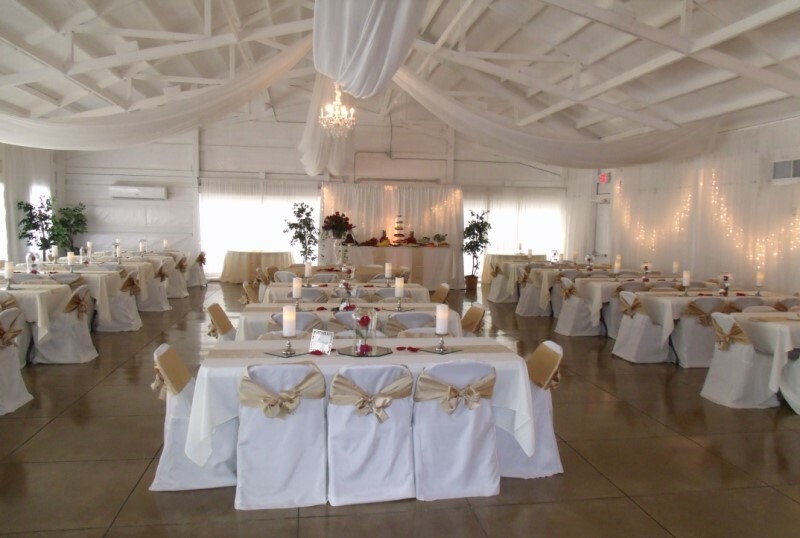 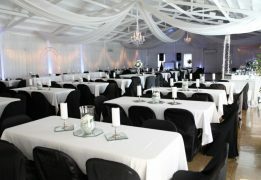 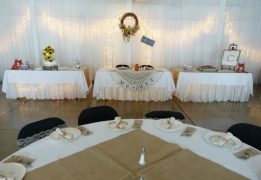 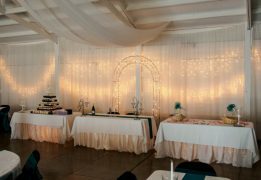 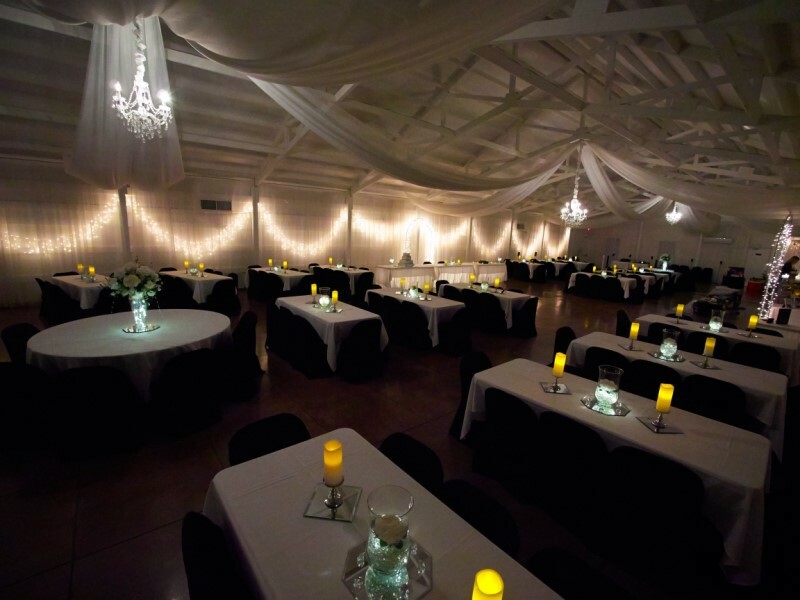 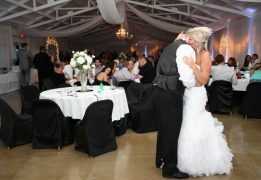 Let our wedding coordinator help you design the space to fit your special event.